The Smart Power Pack II is the perfect addition for mobile cycling globetrotters and travellers as well as for every day use. 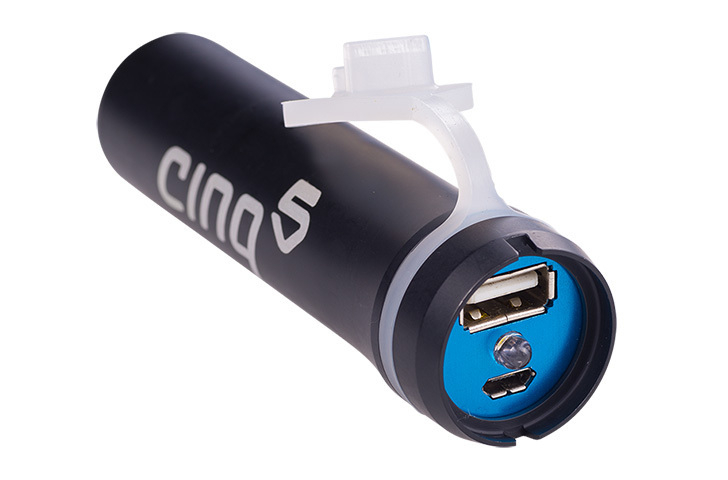 It is equally suitable for recharging your tablet computer, smart phones or GPS devices. It has numerous smart features which make it the perfect multi purpose device for outdoor activities. Weighing in at just 85g and with a length of 95mm it is light weight and compact. 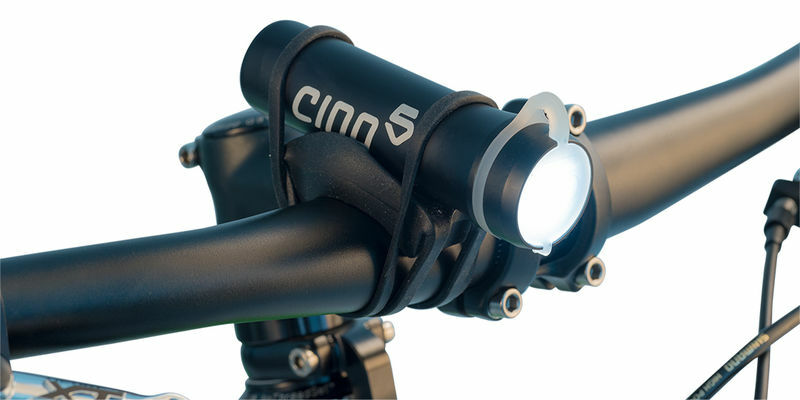 It even incorporates a LED flash light and an integrated backup rear bicycle light. The optical SOS flash function allows you to send rescue signals in an emergency situation. 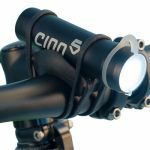 The rugged aluminum housing withstands external impacts as well as corrosion due to its anodized surface and the rubber cover protects it against water and humidity while traveling on the road. 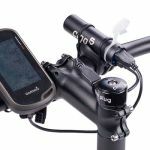 Its easy to attach to your handlebars, stem or seat post using the flexible attachment system thus allowing you to minimise the clutter on your cockpit. 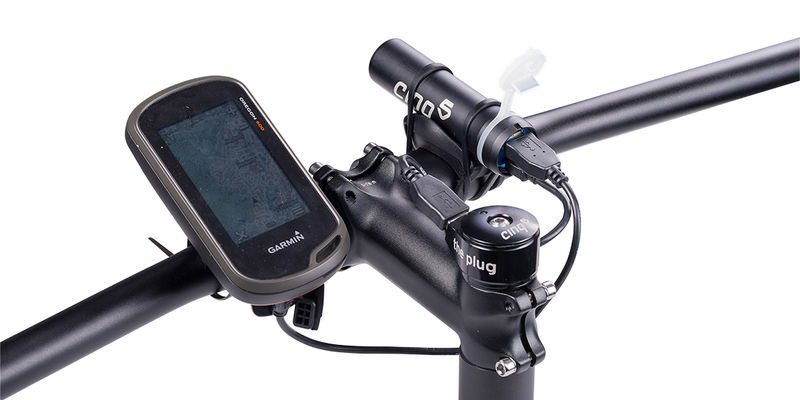 The Smart Power Pack II attaches without the need for screws or cable ties etc and is therefore equally easy to remove from your bike when requried. When the unit is charged the LED will work for up to three days or upto three hours when not charged. Use it in conjunction with the Plug III to act as a buffer between a device and the The Plug III. 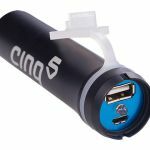 This is great if you are using a power hungry device.